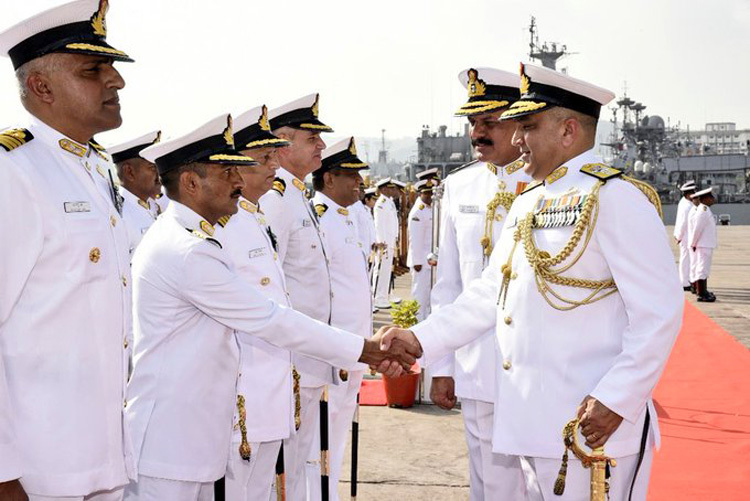 Rear Admiral Suraj Berry, NM, VSM takes over the Command of Eastern Fleet, the Sword Arm of the Eastern Naval Command from Rear Admiral Dinesh K Tripathi, AVSM, NM at an impressive ceremony held at the Naval Base, Visakhapatnam on March 30, 2019. 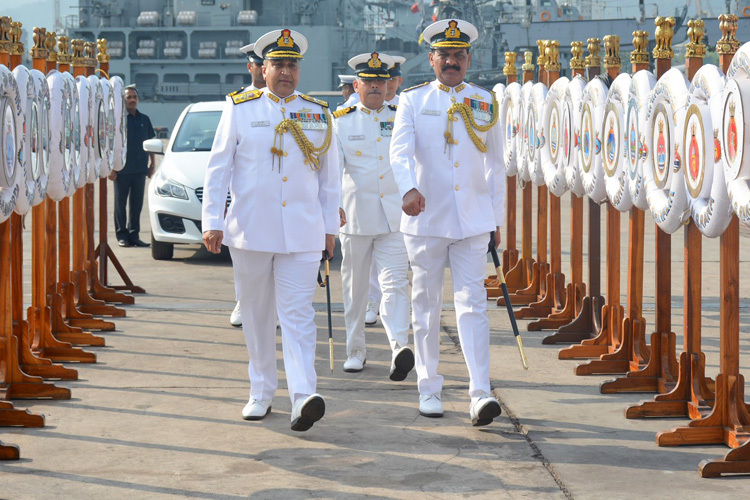 Rear Admiral Suraj Berry was commissioned on 01 January 1987 and is a specialist in Gunnery and Missile Warfare. 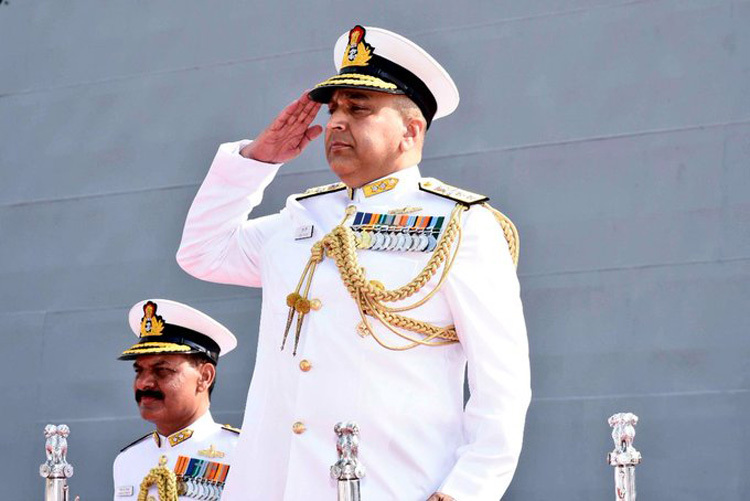 His Sea commands include the missile vessel INS Nirbhik, missile corvette INS Karmuk, stealth frigate INS Talwar, and the aircraft carrier INS Vikramaditya of which he was the commissioning Commanding Officer. 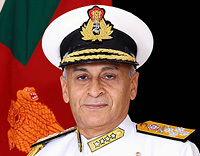 His prestigious Staff and Operational appointments include those as the Operations Officer of the Mobile Missile Coastal Battery, Fleet Gunnery Officer of the Western Fleet, Defence Adviser to the Indian High Commissioner of Sri Lanka and Maldives, Director at the Directorate of Staff Requirements and Naval Assistant to the Chief of Naval Staff and Principal Director Strategy, Concepts and Transformation at the Naval Headquarters. He was awarded the Vishisht Seva Medal (Meritorious Service Medal) in 2006 for services during the Tsunami Relief operations in Sri Lanka/ Maldives and the Nau Sena Medal (Navy Medal) in 2015 for devotion to duty. He was elevated to the Flag Rank in October 2016, and was the Assistant Chief of Personnel for Human Resource Development prior taking over command of the Eastern Fleet. 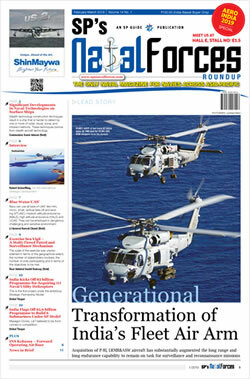 Over the past 14 and half months, the Eastern Fleet under the command of Rear Admiral Dinesh K Tripathi, undertook various operational missions including the maiden edition of multilateral exercise at sea off Port Blair as part of MILAN-18 and Operational Demonstration as part of Defence Expo 18 off Chennai. 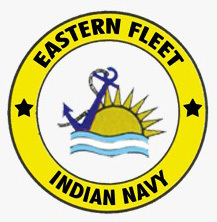 A Task Force of the Eastern Fleet under the Flag Officer was also deployed to South East Asia and the Western Pacific including the first ever visit by Indian Naval Ships to Guam, USA for Malabar-19. 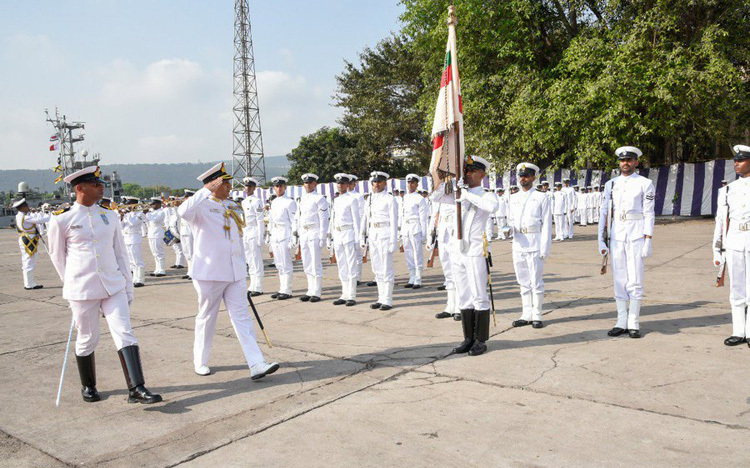 The Eastern Fleet under him alsoparticipated in various bilateral exercises, most notable being INDRA-18 with the Russian Federation Navy, JIMEX-18 with the Japanese Navy and the 25th edition of SIMBEX with the Republic of Singapore Navy. 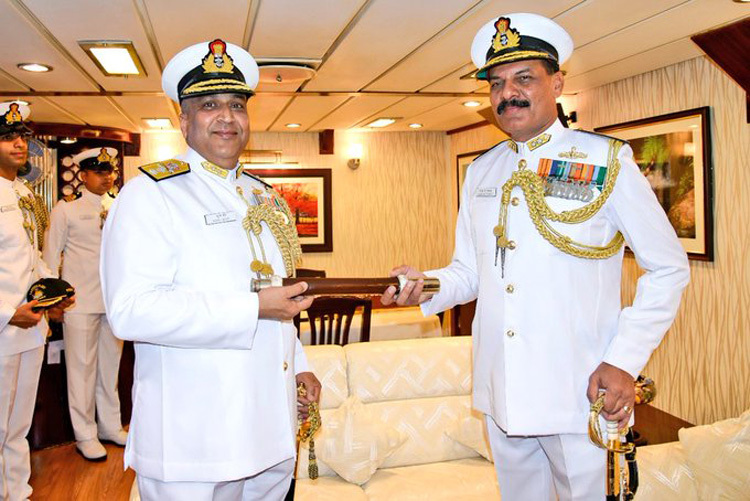 Rear Admiral Dinesh K Tripathi has been placed in the select list for promotion to Vice Admiral and is headed to New Delhi as the Assistant Director General, Project Seabird.